Last week, I received a letter from one of the large orthopedic prosthetic manufacturers announcing yet another product recall. This time it had to do with modular designed femoral components generating excessive metal debris at the junctional “welds”. Is the recent flood of product recall the result of faulty manufacturing, more scrutiny by the FDA or consistent with the observation that new isn’t necessarily better? A recent scientific orthopedic publication from the Mayo Clinic confirmed my observation that the length of the surgical incision makes no difference in the immediate recovery but rather it’s the perioperative pain management. Actually, the suggestion was that a minimally invasive incision by reducing the surgeon’s field of vision and maximizing muscle trauma might actually delay or adversely affect a long-term outcome. 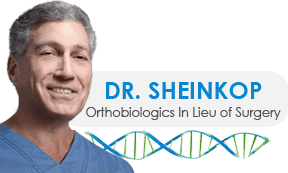 When I started my adult orthopedic reconstructive practice sub specializing in joint replacement, the primary concern of the orthopedic surgeon was the length of survivorship of the prosthetic hip and knee. To affect that survivorship, recommendations were advanced to avoid heavy physical labor and sports with impact. My research at Rush documented average survivorship of hips and knees implanted in the mid 1980s of 17 to 20 years. More recently though, the precautions and limitations applied to the patient with the new joint have been thrown to the wind. The Boomers are led to believe they may run, jump and abuse the new implant without limitation and there will be no adverse consequence. To support the theory of the indestructible joint, the orthopedic manufacturing companies introduced hard bearings; that is ceramic and metal on metal. Then came the failure of the ceramic bearing and the concerns about metal ion generation and foreign body granulomas in the metal on metal bearing. Focusing on the latter for a moment, we have learned that there are special risks inherent in metal-on-metal bearings including higher loosening rates and adverse local tissue reactions. The safe upper limit metal ion limit established by researchers include 4.6 mg/L for chromium and 4.0mg/L for cobalt on unilateral metal on metal hips and 7.4 mg/L for chromium and 5.0mg/L for chromium on bilateral procedures. Recently, I had breakfast with a well known Chicago orthopedic surgeon who happens to be close to me in age, share many of my daily athletic and fitness activities and focuses his practice on the mature athlete. I asked him as to when he thought a joint replacement was indicated, his response “ a total joint is a salvage procedure”. Arthroscopy with stem cell adjunct is the future.